There are only two people in VOR. One plays bass, one plays drums, one of them also shrieks like a man who’s being carved with straight razors. We’re lucky that arms-control authorities haven’t allowed them to use more than two instruments. With just those two they create an appalling level of sonic destruction. VOR’s music is ugly, abrasive, a danger to the listener’s psyche — and irresistibly body-moving. It will scour out the inside of your skull, while it’s making your skull bang up and down like a piston. VOR are based in Madrid, Spain. They have a new album coming out. It’s their second one. It will be released on May 19th by Third I Rex and a consortium of Spanish labels — Odio Sonoro Records, Nooirax Records, Noizeland Records, T-Shirts FUZZ, Base Record Production, and Sacramento Records. We’re premiering the album’s first single today — “Black Goat” — and I wish I could see your faces when you listen to it. “Black Goat” is fast, and merciless. The leading bass riff has a massive, gravel-chewing, bone-splintering tone, and as mentioned, it’s also massively body-moving. The clattering, cranium-busting drumwork is just as fast and fierce. 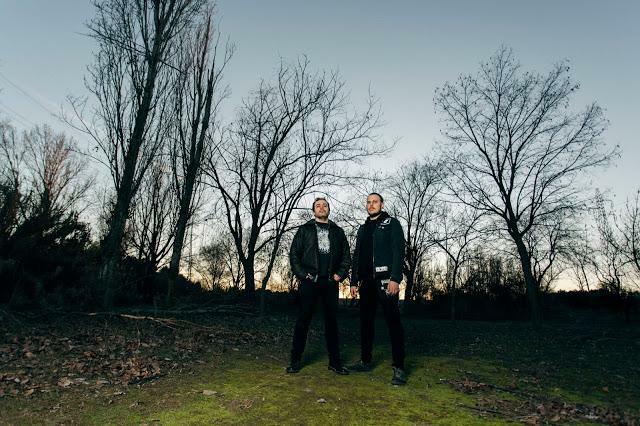 The vocalist’s throat-ripping excretions are mixed with demented yells. Along with that compulsive lead riff, the bassist delivers hopeless, moaning melodies, bursts of freakish, frenzied fret-mauling, and another ugly, teeth-jarring riff. The song ends with an especially malicious dose of guitar-gouging and thundering, percussive tumbling. The whole experience may be unhealthy, but it’s damned addictive. 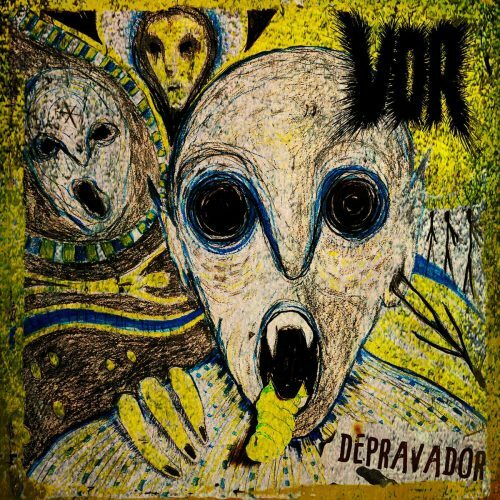 The name of this new album is Depravador. Third I Rex recommends it as a must-listen “for all of the uncompromised sludge supporters, fuzzy doom sounds lovers, punk-fueled hatred preachers, and all of those people out there who wanna listen to something new.” They also recommend it for fans of such diverse groups as Today Is The Day, Black Cobra, The Body, Grief, and Melvins. Pre-orders in a variety of formats are available now. And I’m glad you did!